In my 17 years of counseling experience, I've worked with children (and their parents extensively), adolescents, and adults of all ages in primarily individual therapy. I have a small private practice and I am also an assistant professor of counseling at a state university. My forte is helping adults from 18 to 60 years old heal, cope and grow from family-of-origin issues, relationship concerns, parenting issues, identity issues (including sexual orientation and gender identity), depression, anxiety, trauma, grief, addiction, and abuse. I worked for 9 years in a university counseling center and thus I have helped a lot of young to middle-aged adults through many of life's challenges. I believe that my clients have their own answers and power within themselves but they often need an understanding, kind and wise ear in order to sift through the fog and negativity to find the beauty and truth that lies within. I believe that a trusting, empathetic, and supportive relationship between the counselor and the client is crucial to our work together. Because of my clinical experience and the positive results my clients have attained, I know I can help you to: find direction and meaning in life; overcome shame and self-defeating behaviors; develop insight and awareness about yourself and your world; and most importantly- collaborate with you to make the changes you seek in order to become the person you were meant to be. Victor is very patient and kind. I feel safe talking to him. Would you like to write a review for Victor Chang? 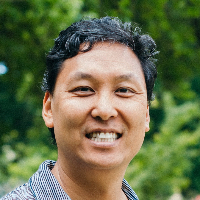 We'd appreciate if you can spend a couple of minutes to write a short review for Victor Chang (PhD, LPC). This review would be shared with Victor Chang. It may also be posted in our website or in Victor Chang's profile but it would be anonymous and your identity would be kept completely confidential.